Our program is designed to build the critical reading skills that will help your child develop a lifelong love of reading – and a solid foundation for academic success. Do your kids know their spellings inside out? Find out. Scramble some letters & make reading fun for kids. We aid them to write tighter, crispier, and grammatically correct essays and paragraphs. One of the primary benefits of reading to toddlers and preschoolers is a higher aptitude for learning in general. Numerous studies have shown that students who are exposed to reading before preschool are more likely to do well in all facets of formal education. Throughout toddlerhood and preschool, your child is learning critical language and enunciation skills, it is a very important pre-literacy activity. As a preschooler, your child will likely begin sounding out words on his own. 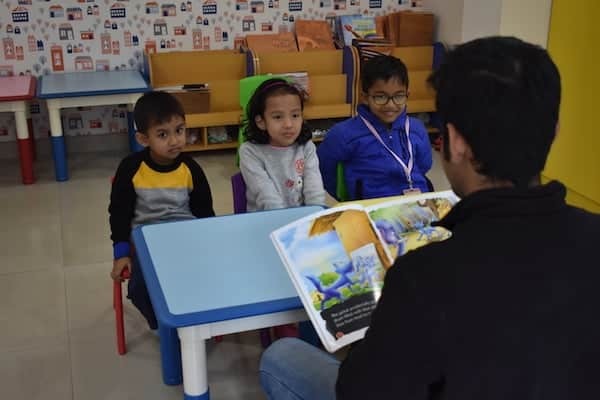 By witnessing the interactions between the characters in the books they read, as well as the contact with others during story time, your child is gaining valuable communication skills. Another illustration of the importance of reading to children is their ability to grasp abstract concepts, apply logic in various scenarios, recognize cause and effect, and utilize good judgment. Children may initially squirm and become distracted during story time, but eventually they’ll learn to stay put for the duration of the book. Along with reading comprehension comes a stronger self-discipline, longer attention span, and better memory retention, all of which will serve your child well when she competes in school. Telling Tales will provide your child with the right tools to learn english.